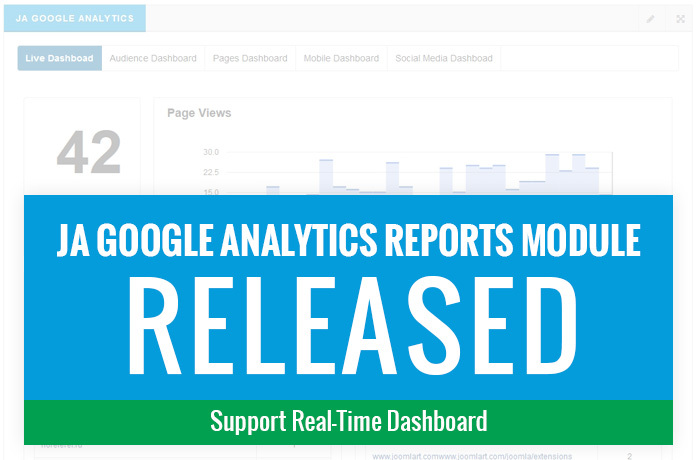 We would like to announce that, JA Google Analytics Reports module stable version was released with an important new feature that allows admin to show real time data from Google Analytics. The modules comes with JA Admin template, JA Users module from beta version to help admin build a truly flexible admin dashboard that is whitelable customizable. The module is Free for JA Admin template. Copyright © 2019 Wilson Argüello. All Rights Reserved. Designed by JoomlArt.com. Joomla! is Free Software released under the GNU General Public License.